is book reacquaints those boys and girls with the authentic Santa Claus—Nicholas, a man who found greatness not simply in spreading "good cheer," but in being a true icon of Jesus Christ in word and deed. Jim Forest is international secretary of the Orthodox Peace Fellowship and associate editor of its journal and website, In Communion. He is a recipient of the Peacemaker Award from Notre Dame University’s Institute for International Peace Studies, a prolific writer of inspirational, historical, and biographical books, and is also the author of two other children’s books available from SVS Press: St George and the Dragon and Silent as a Stone. Vladislav Andrejev was born in St Petersburg, Russia and received a formal education in fine art book illustration. His search for deeper meaning in art led him to study icon painting. Andrejev is an accomplished iconographer, teacher of iconography, and illustrator of award-winning books manifesting his unique continuation of the ancient Byzantine-Russian tradition. 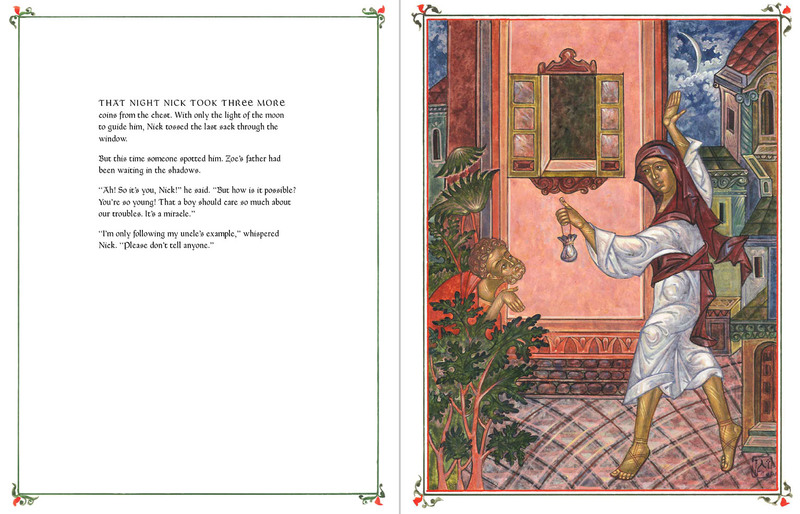 He is also illustrator of St George and the Dragon.